Meet the plant that's beautiful, grows in poor soil, and more nutritious than a soy bean. Some plants we love because they are ornamental. Some plants we love because they’re functional. But then there’s tarwi (Lupinus mutabilis), a South American beauty that has it all. It’s gorgeous, its flowers smell like fresh honey, it attracts beneficial insects and fixes nitrogen in the soil. 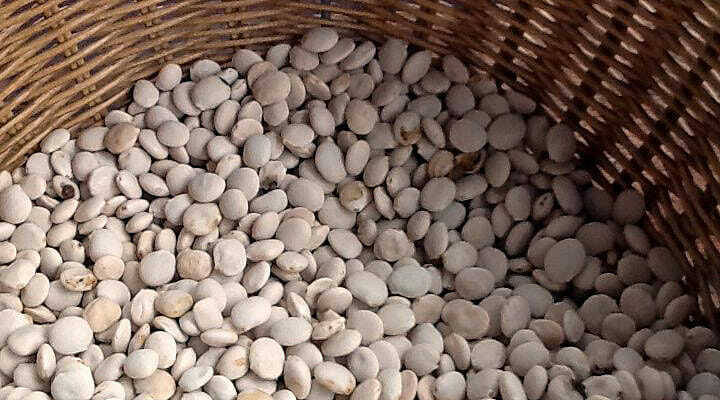 And if that weren’t enough, it produces bumper crops of round, bean-like seeds that are hugely nutritious. With a full range of essential amino acids and more than 40 percent protein, tarwi would easily win out over soybeans in any comparison. Like soybeans, tarwi beans need to be leached to remove unwanted compounds that are bitter, and in large doses, toxic. Once prepared, however, tarwi can be enjoyed like soybeans, or made into flour, or pressed for oil. What:Annual legume native to high elevations in South America. Where:Tolerates poor soils with low acidity. Good pioneer plant for depleted soils. Young plants are frost sensitive. Yield:Nutritious seeds. Seed pods contain 2 ”“ 6 (or more) oval seeds and do not shatter when ripe, making them easy to harvest. To see tarwi close up, I headed to Bolinas, California – a sleepy little coastside town where residents are famous for taking down road signs to deflect outsiders from their cozy, bucolic village. After getting directions which included “follow that redwood fence about halfway down the road,” I arrived at BoTierra Biodiversity Research Gardens, headed by the affable John Glavis. Glavis spent years in the Andes of Peru and Ecuador researching indigenous crops, bringing back Inca treasures. Botanical treasures, that is. He now spends his time growing them season after season in order to deeply understand their potential as worldwide food crops. Among his treasures are luminous pearl-white tarwi seeds. The plants, which are related to the tree lupines of the California coast seemed perfectly at home here on the other side of the redwood fence from their distant cousins. Glavis, who has been growing them for a number of years, said that they are adaptable to most temperate climates. Tarwi is being grown on research farms like BoTierra in California as well as in places as far flung as Russia, England and Australia. John showed me to a long, lushly vegetated plot along a side fence. Here, tarwi seeds are inter-planted with kale, flax, potatoes and other less well-known Andean tubers. The tarwi seedling’s green heads were just poking out of the mud. Fully grown, tarwi sports blue and purple pea flowers with white banners. Mounds of these fragrant flowers ring deep green stalks and look like knee-high pagodas flanked by grooved, hand-shaped leaves. The tap root is well suited to exhauasted fields and marginal areas because it breaks through compacted soil, while the surface roots replenish nitrogen. And besides feeding the soil, Glavis says, “It’s being used to provide complete nutrition to children in South America’s remotest areas. That’s pretty wonderful.” We go into the greenhouse where pounds of dry tarwi seeds sit in a woven basket on a long table. The oil you press from them is “like the finest extra virgin olive oil,” he enthuses. Even the seeds are beautiful. They’re also pretty tasty if they are prepared correctly. Tarwi seeds have a thin, outer skin that you can pop off by squeezing the little guys between your fingers. Projectile tarwi. I find it a bit tedious, so I just eat them whole. Like soybeans, their taste is salty and nutty, and their texture is firm. You can find tarwi in some Hispanic or Italian markets. They are usually sold soaked and pre-treated to remove the bitterness, and packaged either vacuum-sealed or in glass jars “en salmuera” (in brine). 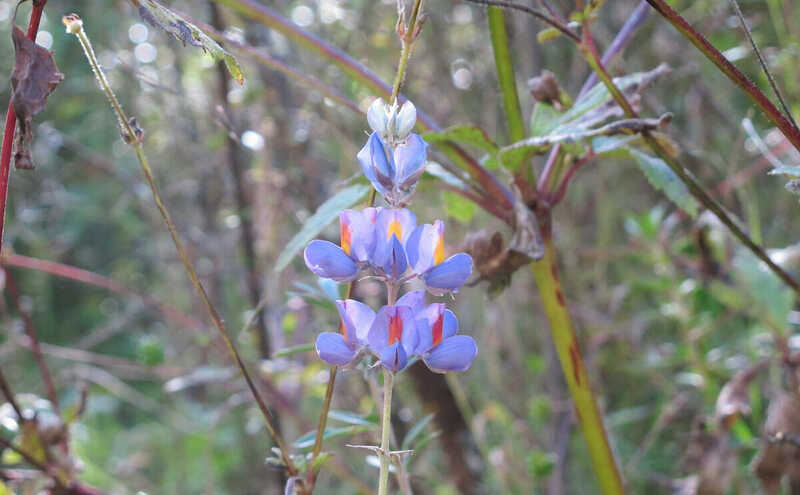 Look for “chochos” (true tarwi, Lupinus mutabilis) or “lupini,” or “tremoÁ§os” (more likely to be tarwi’s European cousins, L. luteus or L. alba). Here is a recipe for vegetarian ceviche based on a popular Ecuadorian street food. If you have dry tarwi, you’ll have to prepare the seeds first to remove the unpalatable bitter alkaloids. To do that, add dry tarwi to a large pot of salted boiling water. Let boil for a few minutes, then turn down the heat and let simmer for 90 min (they will soften up some, but never get completely tender). Drain the tarwi through a colander. Rinse thoroughly and place in a pot of cold water. Soak overnight. The next day, drain and rinse the tarwi again. Taste one. If it’s still bitter, boil the tarwi again in salted water for 90 min. Rinse and repeat. At this point your tarwi will most likely be nutty, slightly bitter, but sweet enough to enjoy.Store them in the fridge in a jar of salted water until you are ready to use them. If using pre-prepared tarwi, rinse them thoroughly in a few changes of water. Taste for salt level ”“ depending on how they were prepared, they could be pretty salty. 1. Prepare the onions: Place the sliced red onions and 1 T of salt in a large bowl and cover with warm water. Let them soak for about 10 minutes, then drain the water and rinse well. 2. Make a dressing by whisking together the orange juice, lime juice, oil and hot sauce. 3. Mix the ingredients: Combine the dressing with the washed red onions, tomato, tarwi, and chopped cilantro. 4. Marinate the tarviche for a couple of hours in the refrigerator before serving. 5. Finish and garnish: Taste and adjust for salt. Serve cold with plantain or corn chips, avocado and more hot sauce if you like.